“The December sell off was clearly due to the fact that investors were fearing global recession,” Liontrust head of multi-asset John Husselbee says. While emotions can be real market-drivers, can political mayhem have an effect on investment decisions? OLIM co-founder and fund manager Angela Lascelles dismisses the impact of politics on investments. Here, Husselbee, Lascelles and The Share Centre investment manager Sheridan Admans give their view on the effect political risks can have on investment and how to navigate it. Does political turbulence have a real-life effect on markets and investors’ portfolios? Husselbee: Political risk may well be at the forefront of investors’ minds. While we’re of course monitoring the macro, we maintain the view of many of our fund managers, that the current uncertainty around the UK’s departure from the EU is an irrelevance, or at least not something on which any of us can get any kind of information edge. At times of political uncertainty, it’s important to keep in mind that not every piece of negative political news leads to a market setback, and not every market setback is a crisis. Knowing warning signs can help determine if a market fall represents a crisis or a shorter-term setback. In times of crisis, I would expect the first three to rise and treasury yields to contract as investors engage in a flight to safety. In a setback they will spike but there will be less of a gradual build-up of tension. Lascelles: The market does its own thing, doesn’t it? I am on an investment committee for a pension fund. Ahead of the US election in 2016, they were wondering how to protect themselves if Trump were to be elected – but of course they thought he wouldn’t. But they wanted to have some downside protection. And what happened? Trump won and markets soared and continued to soar. It’s a little bit the same with the UK and Brexit. If it isn’t the political noise, what drives the markets? Lascelles: Ultimately, what’s actually happening in the economy is what counts. The UK market is extremely exposed to global trends anyway. We have to remember, it’s one of the biggest economies in the world, does business all around the world, and that’s reflected in our stockmarket. So to focus solely on Brexit and thinking our market fell because of Brexit or a political crisis is rubbish. 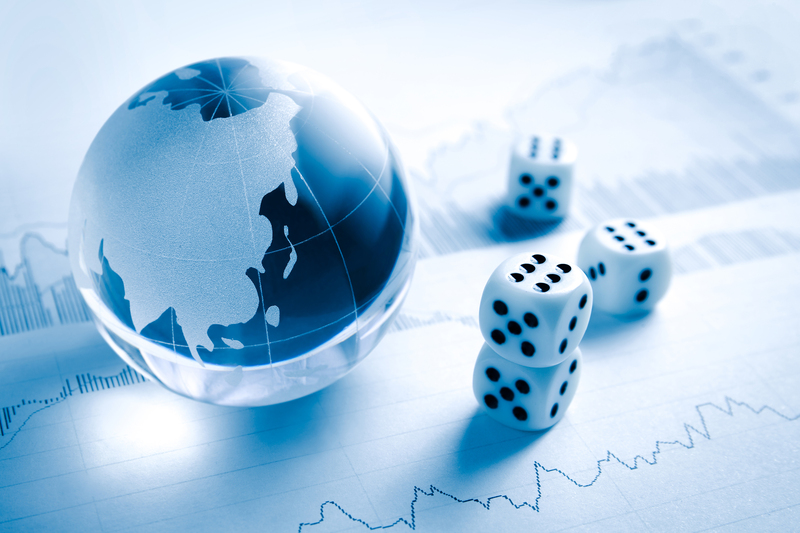 It was a frightened global market with a very strong dollar emerging with markets all in crisis, developed economies with too much dollar debt, or finding themselves in crisis – those are the things that guide the market more than domestic politics. How can you mitigate the impact of a Brexit threat on your investments? Admans: It is highly dependent on which exit scenario you’re most likely to put the highest probability on. As a manager of multi-managers I have chosen to hold UK assets at this time, in part due to their valuations being near historic lows. As a long-term investor it would be remiss of me not to take advantage of this valuation opportunity. Second, the UK economy continues to produce positive economic data. Wage growth is up, unemployment is low and inflation is around 2 per cent. That said, our portfolios have a broad exposure in equities across market-caps and have exposure to UK asset-backed securities with a tilt in credit exposure higher up the investment grade spectrum. I increased cash and gold buffers as dampers. This provides liquidity to take advantage of opportunities. I don’t manage our multi-manager strategies with just Brexit in mind. There are constant political and non-political narratives in markets which can be taken advantage of or defended against. Currently the biggest tailwinds revolve around monetary policy, US-China trade tensions, slowing global growth and bulging government balance sheets. Is there a type of investment suitable for investors who are concerned about how political risk can impact their investments? Husselbee: You need to look at a risk-targeted portfolio, which will manage money in regard to appetite. Admans: The biggest problem facing investment management post-financial crisis and on the point of safety proofing portfolios for political issues is diversification. So when it comes to protecting your investments and what type of investment is best suited to someone worried about political upsets on markets, I’m more focused on holding managers who have experienced notable stockmarket falls in their careers, and who have a well-defined process. Also because of the restrictions we have on the direct use of derivatives in our funds, opt to use – when appropriate – cash and gold as a shock absorber, providing the option to act quickly to opportunities.